The Dixon Motor Truck Company was based in Altoona, Pennsylvania and produced a range of commercial vehicles. The first Dixon trucks used four-cylinder engines and worm drive. Six-cylinder models were introduced in 1927 and were fitted with bevel gear drive and pneumatic tires. By the mid-1920's, Dixon trucks were available in 1-1/2-ton, 2-ton, 2-1/2-ton, 3-1/2-ton and 5-ton capacities. Dixon also built oil tankers, dump beds, stake bodies and delivery vehicles. 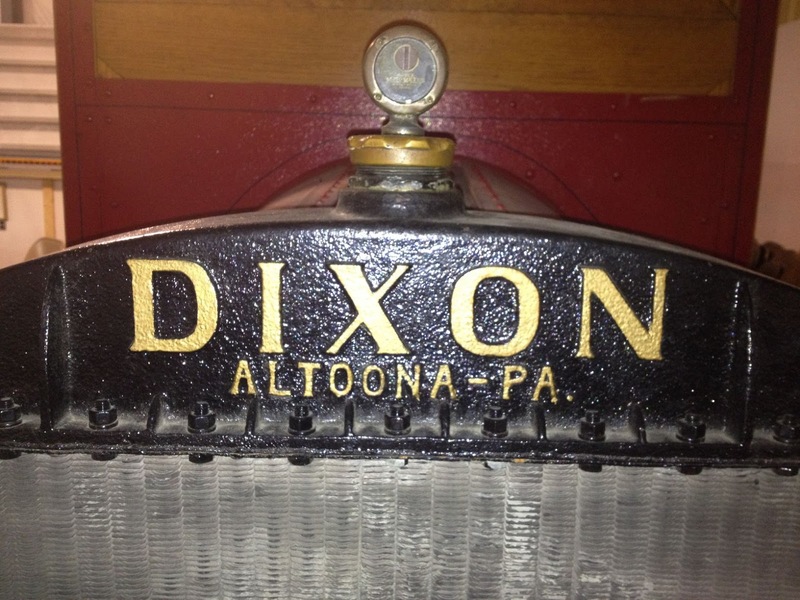 Dixon trucks were mainly sold in central Pennsylvania. Total production of the Dixon was 970 trucks before production ceased due to the effects of the market crash of 1929. Two Dixon trucks are known to have survived. The Dixon name was also displayed on nameplates attached to both sides of the hood, see example above at the top of this post. This Dixon nameplate is extremely rare. 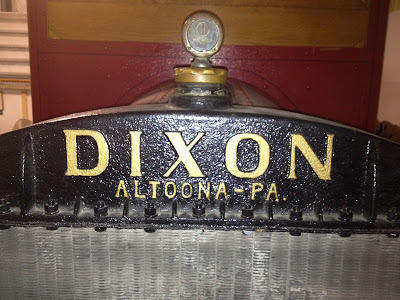 A poor quality photo of a 1928 Dixon dump truck with a rounded hood, shows a Dixon nameplate, similar to that shown above at the top of this post, attached to the radiator tank top as an emblem. It is highly likely that the same emblem was used as a radiator emblem for the lighter range of Dixon trucks and delivery vehicles.